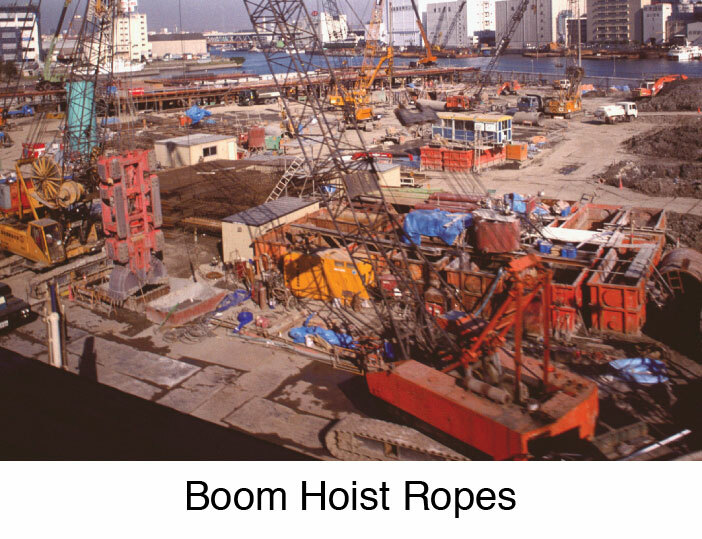 Python® Construct-6; Crush-resistant Boom Hoist Rope (ForcePac™ Compacted) - Unirope Ltd.
Python® Construct-6 is a swaged rope which is constructed from specialty made engineered and sized 6-strand wire rope. 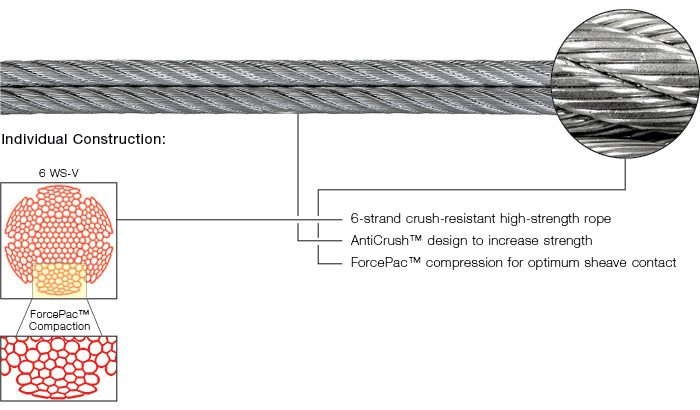 The basic wire rope is already manufactured with the intention of being compacted (ForcePac™) into the finished product. The degree of compacting is carefully selected to ensure the best compromise between crush- and fatigue resistance. 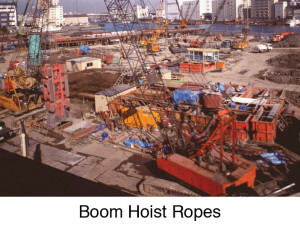 The strength increase compared to standard 6-strand ropes varies between about plus 10% to 35% depending on rope diameter. Python® Construct-6 is available as a 25-wire (6 F-V) or 36-wire (6WS-V) construction, in left- and right lay, bright or galvanized. Python® Construct-6 is NOT rotation resistant or non-rotating. 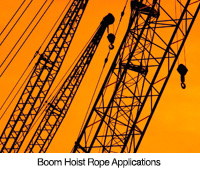 6-strand rope with flat outer wire surface resisting drum crushing and aiding in better multiple layer spooling. The ForcePac™ compacting process removes most of constructional stretch.